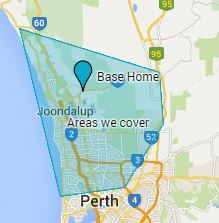 Tile & Grout Cleaning Perth | Alpine Carpet Cleaning. Since 1998. Tile and Grout Cleaning by hand is hard work! Cleaning your floor tiles and grout by hand is messy, uncomfortable and impossible to get the deep-clean results that come with a professional tile and grout cleaning service. That’s because grout is a porous material, collects dirt, grime and spills which often discolour the surface. Regular mopping and spot cleaning doesn’t reach the hidden dirt that lies deep within the pores of your tile grout lines. It can also take a long time to clean by hand and be painful on your knees or back. 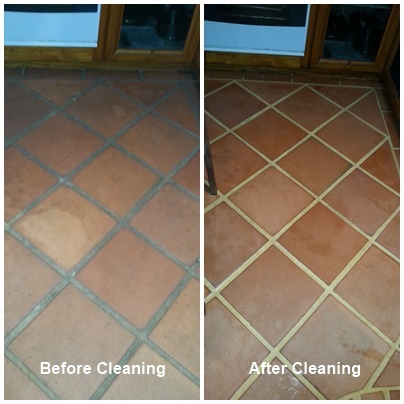 Get your tiles and grout incredibly clean; easy & hassle-free! With Alpine Tile and Grout Cleaning Perth’s rotary floor tile and grout cleaning equipment we can achieve far better results than any hand cleaning could ever do. 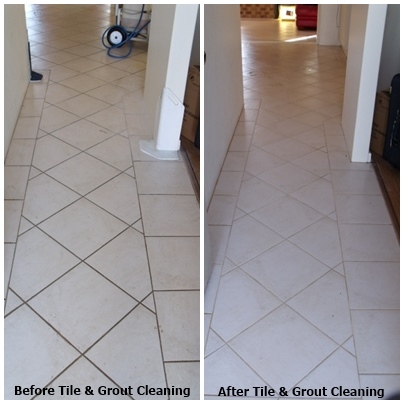 Our state-of-the-art tile and grout cleaning equipment yields a high-pressure water and vacuum combination that extracts dirt from deep within the tile and the pores of your grout. We can be in and out in just a few hours, leaving your floor tiles and grout looking like new again. No fuss, no mess! Paul and Sally, you have done it again. I knew that my grout was a bit dirty, but I didn't realise that my tiles were too. I love that you can just come in and make my floors look so much better. You stand out feature is that you use green products. I love that. Thanks again. Ps you know what else I love about your service, there is never ANY mess left once Paul leaves, he is meticulous in the service he provides. 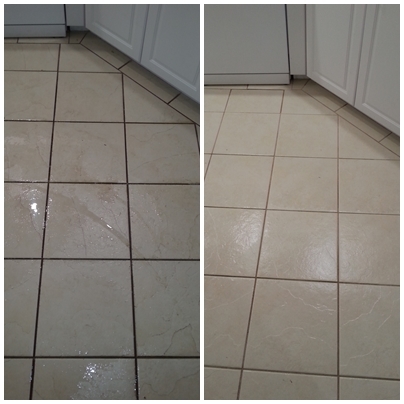 Paul and his team did a fantastic job cleaning the grout and tiles in our house. It's completely changed the feel and smell of the house. The transformation of our shower was incredible. Highly recommend Paul- very professional, efficient and knowledgeable. We had our tiles and grout cleaned by Paul and Callum from Alpine Cleaning and were very pleased with the result. They took a very professional approach to the job, ensuring not only that they cleaned thoroughly, but that other parts of the house were well protected from their machines and water damage. They were prompt and even let us know that would be a little earlier than organised. We would certainly have them clean our place again. Our floor tile and grout cleaning prices start from just $5+GST per square metre! Depending on the size of the job, we will make sure we price your job competitively, compared to other professional tile and grout cleaning Perth companies. Safe, Environmentally-Friendly, Biodegradable Solutions Used! 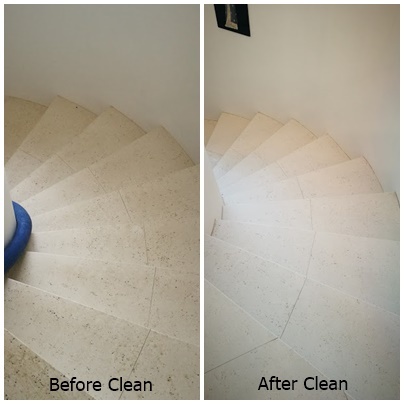 Alpine Tile and Grout Cleaning Perth use quality bio-degradable, environmentally friendly cleaning solutions to powerfully but safely clean your floor tiles. No nasty chemicals used! Get a quote today and see how little it will cost you to get your floor tiles and grout professionally sparkling clean. 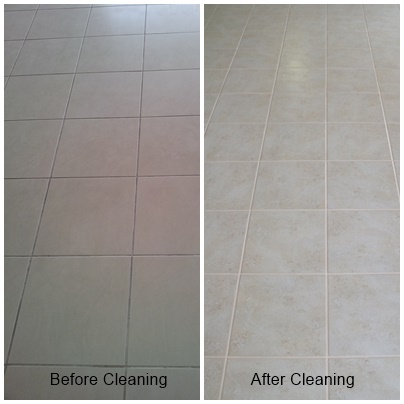 All work done by Alpine Tile and Grout Cleaning Perth is covered by our 100% satisfaction guarantee. If you are not entirely happy with the results, we will return free of charge to redo any areas. Paul at Alpine Tile and Grout Cleaning Perth is professionally trained by the Advantage Group Perth ( in house training). 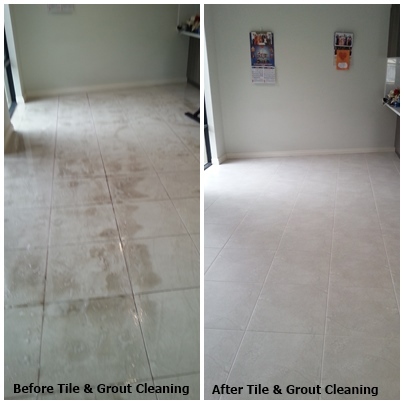 Alpine Tile and Grout Cleaning Perth can be trusted to take the utmost care when cleaning your tiles. We have wall guards to protect your walls and furniture from our hoses, and when we finish the job we make sure there is no mess left! We treat your home like it’s our own! We can seal tiles, however it is not always necessary and we will advise you on consultation. There are some cases it pays to have them sealed, and we can discuss that on the day.